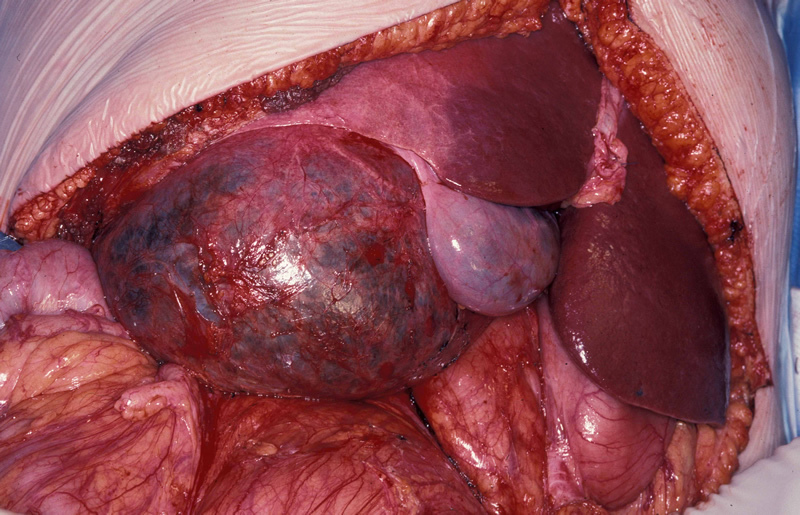 Cystic disease of the liver is extremely common and in most patients cysts are innocuous. Occasionally patients present with giant cysts which can cause symptoms. These symptoms are generally due to pressure effects within the abdominal cavity or occasionally due to leakage of cyst fluid into the abdominal cavity. Irritation of the diaphragm muscle can lead to pain in the shoulder. The aim here is to provide some idea of the complications of massive liver cysts and what can be offered in terms of surgery. 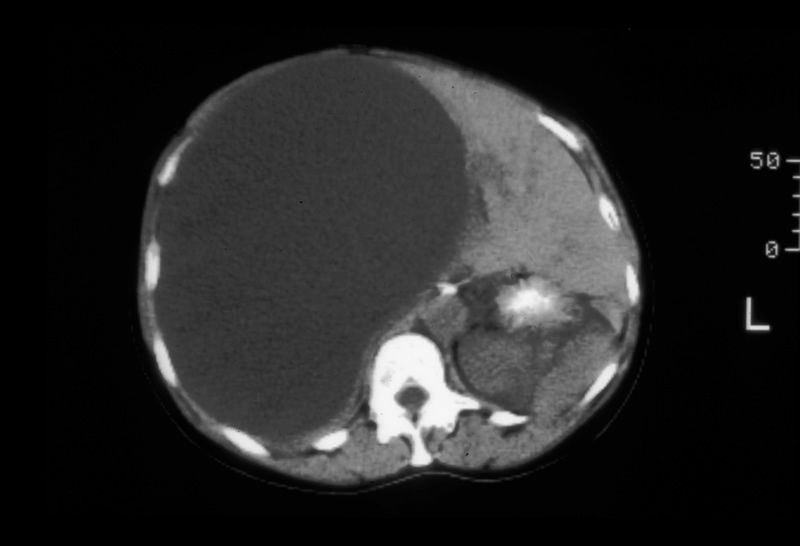 1 - This patient had a massive liver cyst completely replacing the right lobe of the liver (see CT scan - Figure 1). She could not sit to drive and was in continuous pain. The cyst was initially treated by aspiration - 8 litres was aspirated. However it reaccumulated in 4 weeks. Later an attempt was made at aspiration followed by instilling alcohol which the patient found excruciatingly painful. This failed too. Laparoscopic de-roofing also failed. 2 - Finally she was referred to our unit for surgery. At operation the cyst is seen near the gallbladder (Figure 2). Her condition was cured by a bloodless right hemi-hepatectomy. 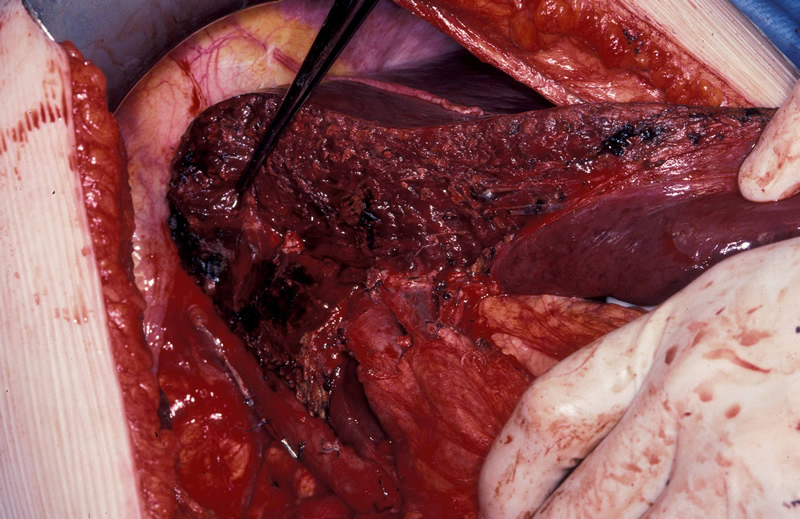 3 - Image shows the residual left hemi-liver. 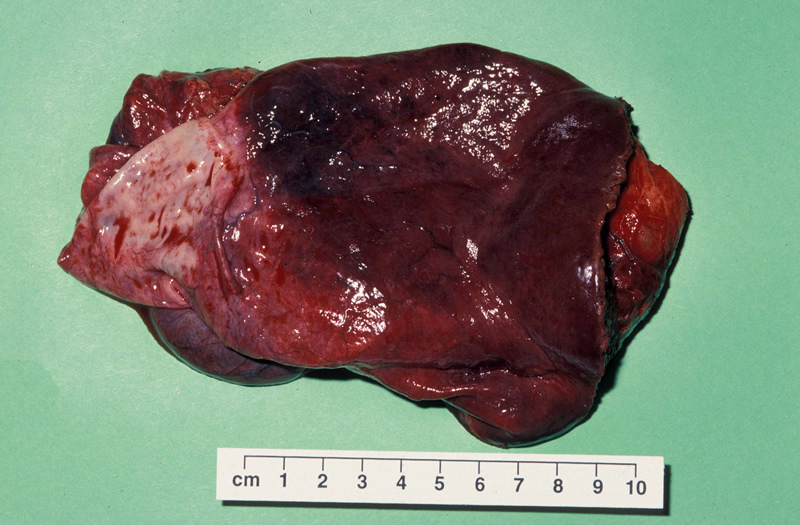 4 - Image shows the right liver specimen which is now empty.